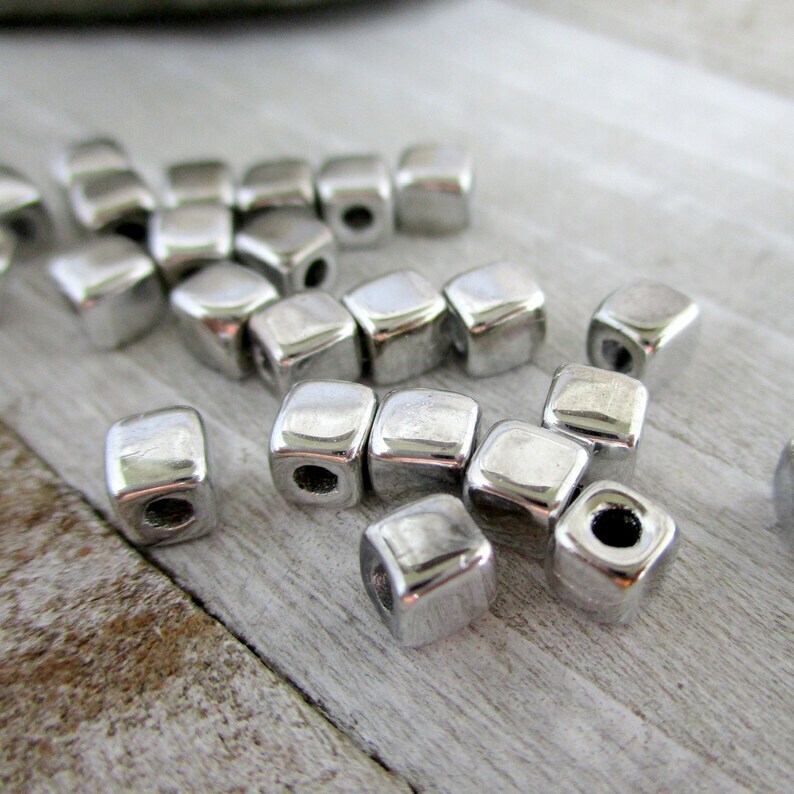 These 6/0 (about 4mm) have a shiny chrome finish. They have a 1.7mm hole. Made in Czech Repubic, imported and shipping to you from the US.